San Leandro police caught a break in a violent attempting kidnapping case on Tuesday when a man suspected of macing and trying to abduct a woman in broad daylight in July was arrested. "This is a very impactful type of crime," San Leandro Police Department's Acting Chief Jeff Tudor said. "It's a fearful crime." Police said the 43-year-old man decided to head north to San Leandro after being released from parole in Orange County. Once in the East Bay, he "tried this very, very violent and serious crime," Lt. Robert McManus said. The still unidentified man reportedly fled California after a Good Samaritan foiled the attack, police said. "Within one hour of attempting the kidnapping in San Leandro, he abandoned his vehicle in east Oakland and ... he got onto an airplane," McManus said. A business owner recognized the suspect's car from prior news coverage and told police that he had seen the man's vehicle near Oakland International Airport, McManus said. "We were able to get DMV records to identify who the owner was," McManus said, and "that led us to a 43-year-old man from Orange County, California." Police found evidence linking the suspect to the attempted kidnaping at his Southern California home. Ultimately, U.S. marshals arrested the man last week, hundreds of miles from the Bay Area. Although the man is being extradited back to the Bay Area, police remained tight lipped Tuesday. They would not specify where the suspect ran to or how he was arrested, saying only that they are contacting other police agencies to determine if he responsible for other similar attacks. 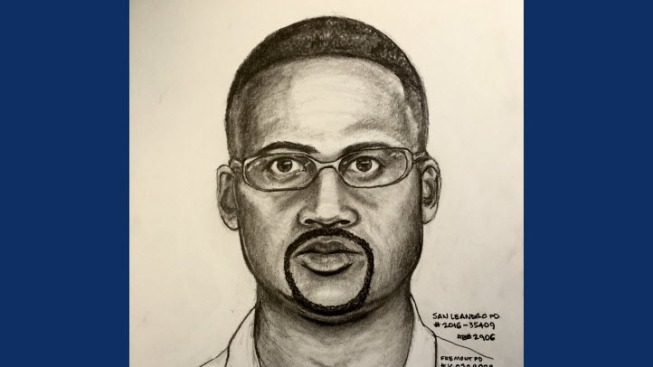 Police say the man, who is accused of violently attempting to kidnap a woman on July 28 on the 14700 block of busy Washington Avenue, may also be linked to two other kidnapping attempts. Yong-Sung Leal rescued the female victim, who was heading to a bus stop en route to work, police said. The 23-year-old San Leandro man was also maced as he fought off the attacker, who managed to get away. "It's so shocking that someone could do something so bad and get so far away," San Leandro resident Joseph Serrano said.